Tropical Storm Julia formed over Florida overnight, and now it’s bringing heavy rain and strong winds to northern Florida, southeast Georgia and the South Carolina coast. 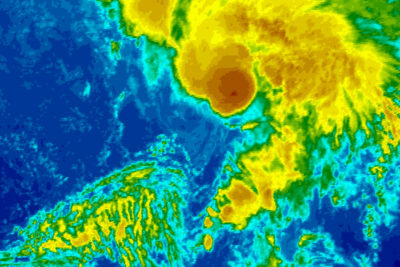 Julia is the first tropical storm to form over land in Florida since records began, according to the National Weather Service. Since Julia’s entire life will be spent over land, a tough place for hurricanes to maintain their strength, it’s likely to be short, dissipating within the next two days. 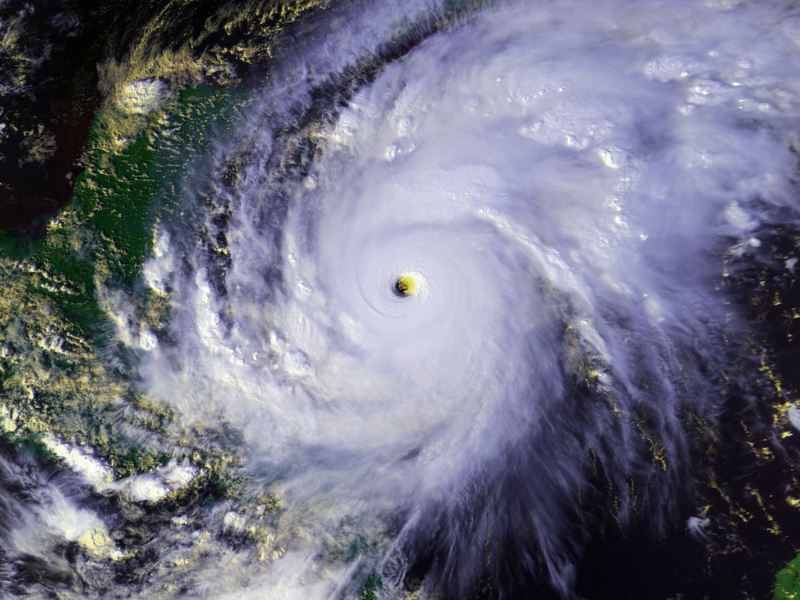 Since Julia has been such an unusual tropical storm, here are six other hurricanes and tropical storms with strange lifespans. 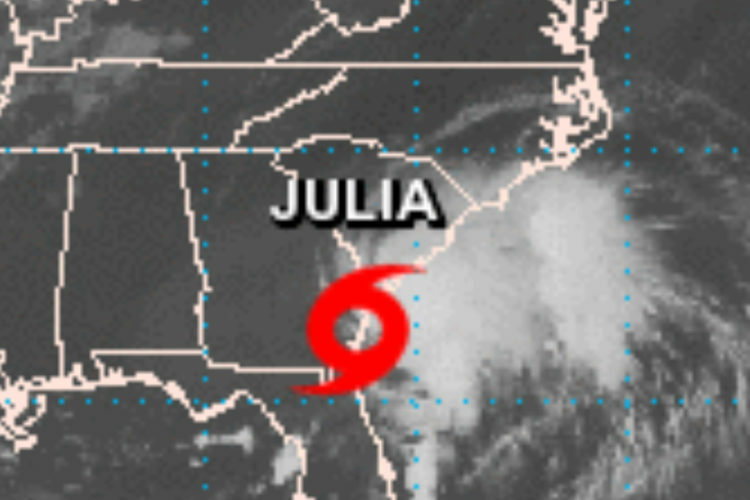 Unlike Julia, this storm lasted an unusually long time, but like Julia, most of that time was spent over land. 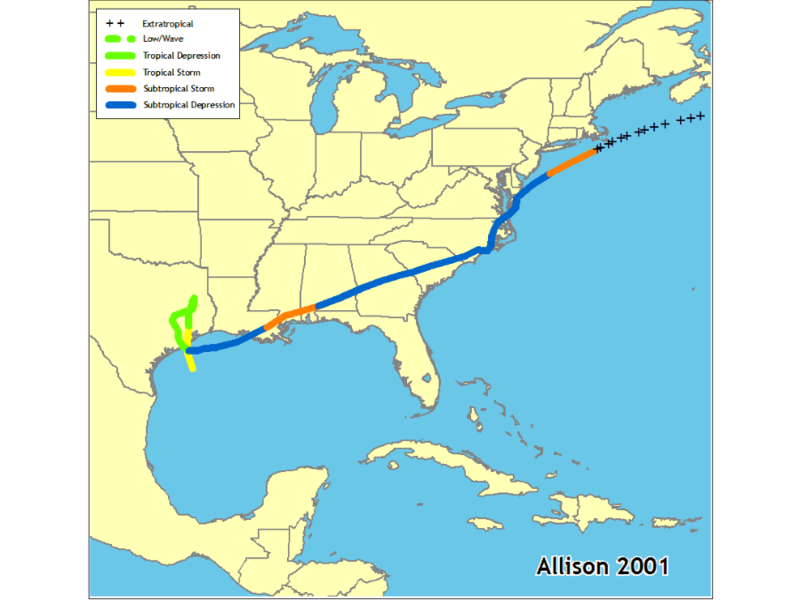 Allison developed right off the coast of Texas on June 5 and made landfall later that same day. After landfall, the storm moved northward in Texas before making a slow U-turn over the next three days to return to the Gulf of Mexico. 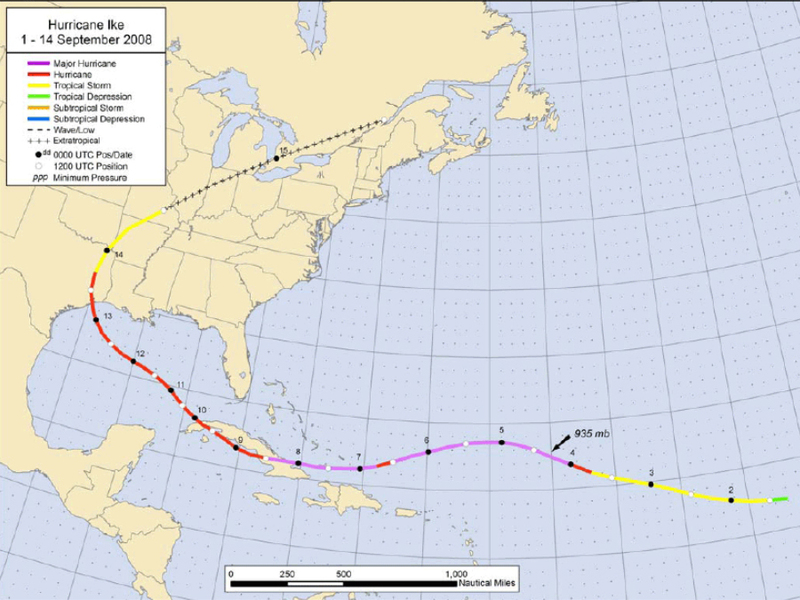 After that, it hugged the Gulf Coast and eventually made landfall in Louisiana and trekked across the Southeast before emerging in the Atlantic and hugging the Northeast Coast before eventually moving out to sea. 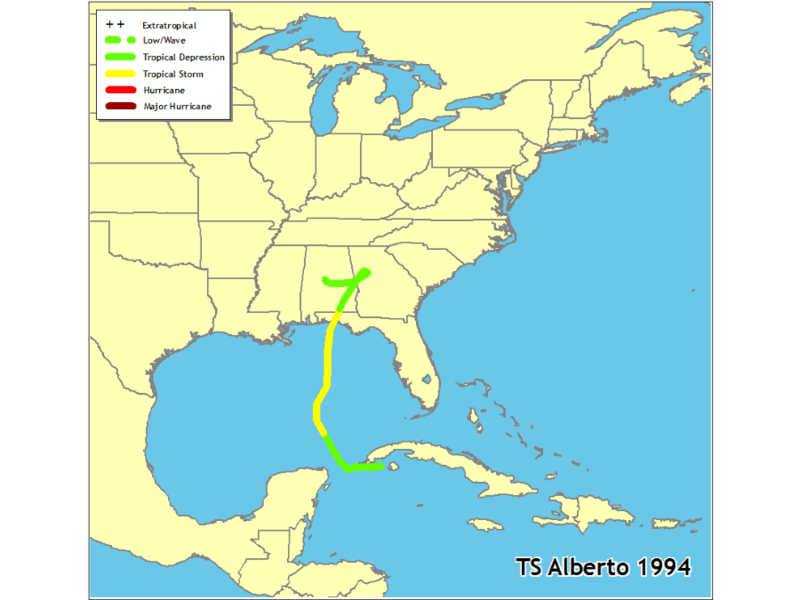 Alberto started out like any other tropical storm or hurricane off the western coast of Cuba. 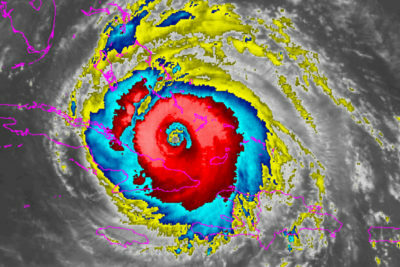 It made landfall in the Florida panhandle with little fanfare, but from there, it moved into western Georgia and did a loop, all while dropping record amounts of rain in some locations. This resulted in 30 deaths and $500 million in damages. Jeanne was another storm with an erratic path. After hitting Puerto Rico and the Dominican Republic, Jeanne took a hard right turn, moving directly north. 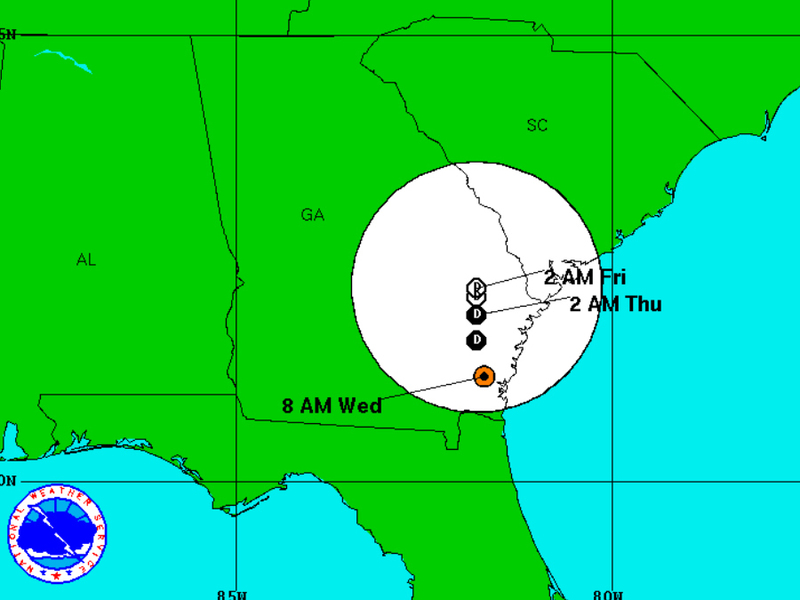 After that, it made a loop, strengthening all the while, and headed west before making landfall in Florida. 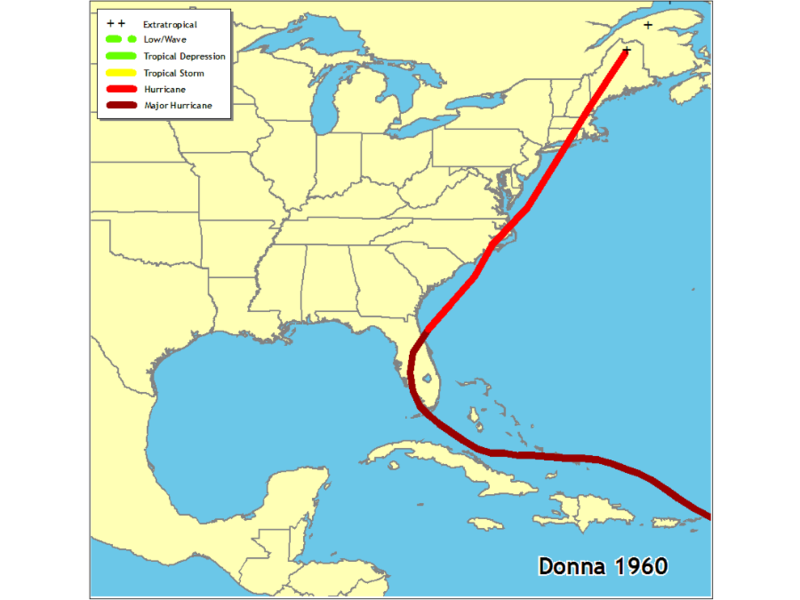 Donna was like many other hurricanes, and it didn’t take an unusual path. 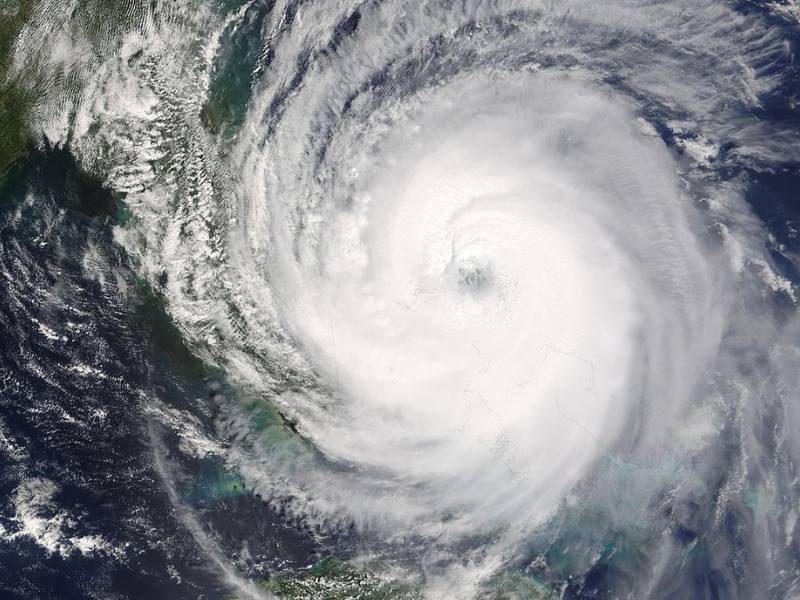 Donna’s claim to fame is the only hurricane on record to produce hurricane-force winds in Florida, the Mid-Atlantic and in New England! 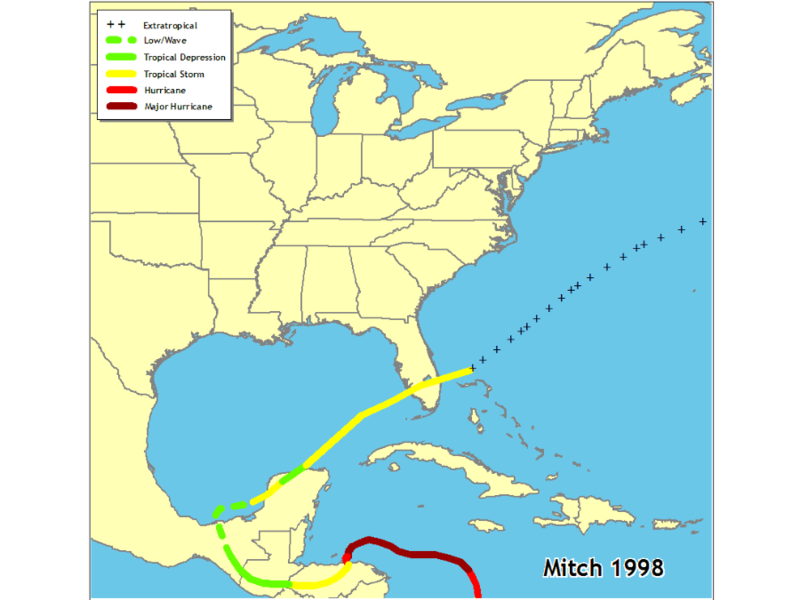 Hurricane Mitch took a long, winding path, forming in the southwestern Caribbean Sea in late October. 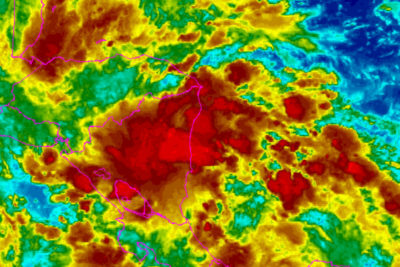 It eventually made landfall in Honduras and would later emerge into the Bay of Campeche after the storm made a U-turn. From there, it traveled across the southern Gulf of Mexico and eventually made its way across Florida and into the Atlantic. 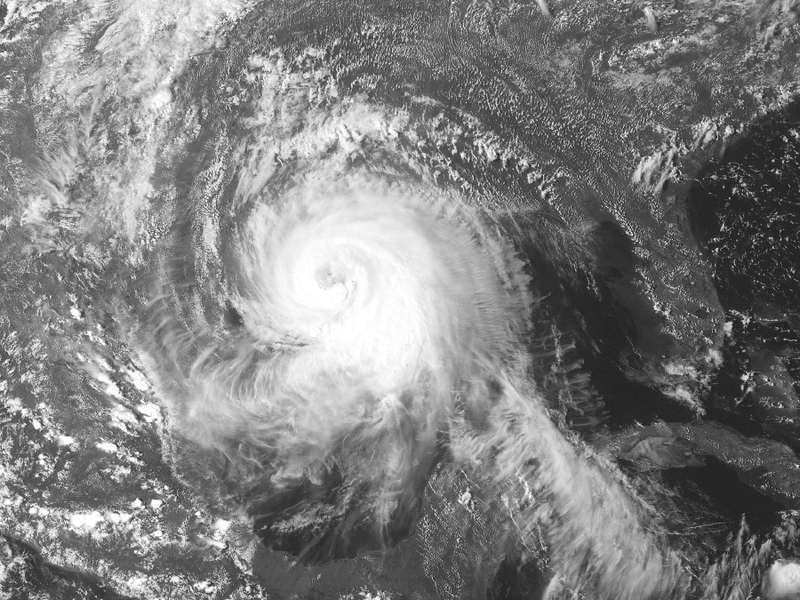 Ike was a long lasting storm that grew and strengthened quickly. 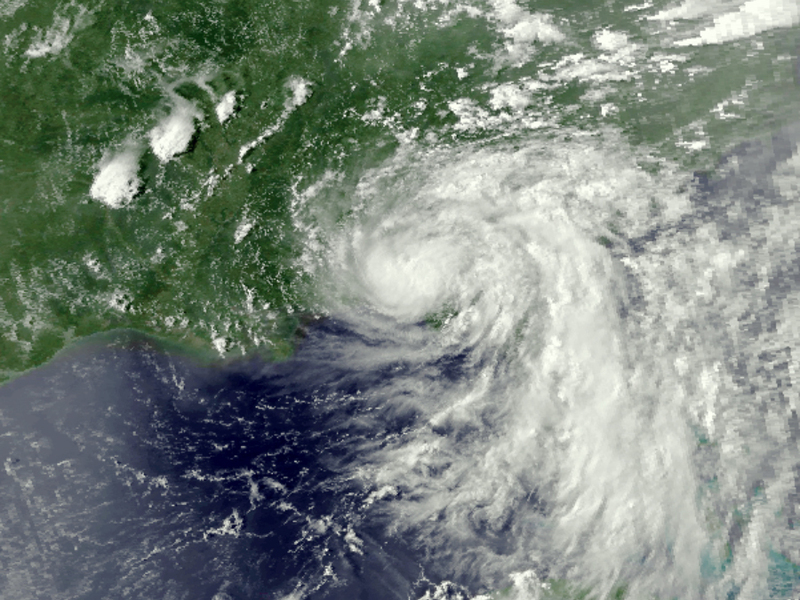 That growth was especially notable in the Gulf of Mexico when tropical-storm-force winds extended up to 275 miles from its center, and hurricane-force winds extended up to 115 miles from the center. 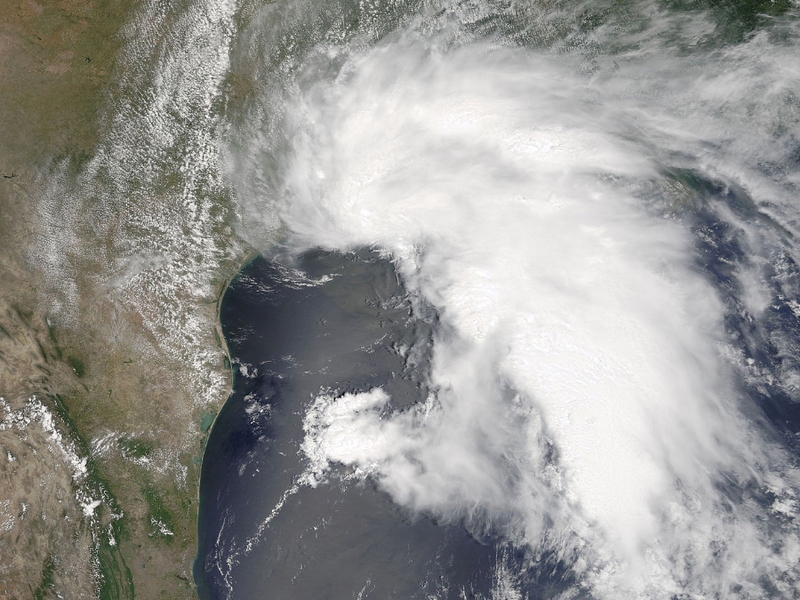 After the storm made landfall in Texas, it travelled into Arkansas, Missouri and eventually the Ohio Valley, causing hurricane-force wind gusts along the way. 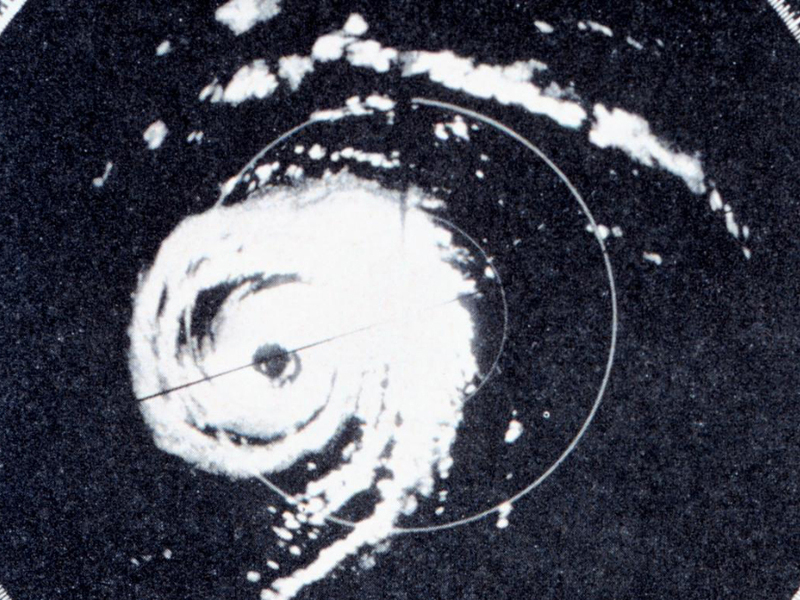 And sometimes, suggested solutions to hurricanes are just as unusual. It’s already snowing in parts of the U.S.